CUSO is an undergraduate and postgraduate orchestra auditioned annually from the whole of Cardiff University. CUSO aims to provide students with challenging repertoire and professional coaching to enhance the overall educational experience. 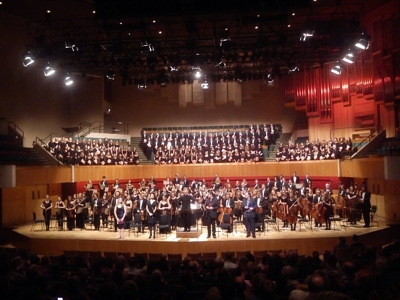 High profile concerts are regularly given in venues such as St. David’s Hall and the BBC Hoddinott Hall. Recent repertoire includes Bartok - Miraculous Mandarin Suite; Brahms - Symphony No. 3; Bernstein - Symphonic Dances from West Side Story; Adams - Short Ride in a Fast Machine, Tchaikovsky - Symphony No. 6 and Stravinsky - The Rite of Spring.